The smoked tuna we received last week from Siren SeaSA was large enough for two recipes. The Nicoise salad was the first and obvious one, this I think was the better one. If you can get your hands on some smoked tuna or if you smoke one yourself, I highly recommend checking out this preparation. I got the idea from a few recipes I found online, the best part being the use of raw walnuts for the resulting taste and texture of the dish. Add water to a large pot, salt, then bring to a boil. 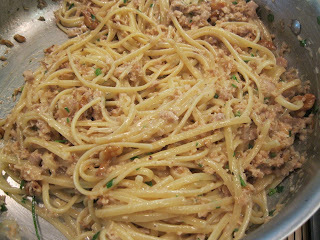 Add the linguine and cook about a minute less than the directions on the box advise. When the pasta is within a couple of minutes of being done, remove about about a 1/2 cup of the cooking water and set aside. Over a medium heat, add oil to a medium skillet. 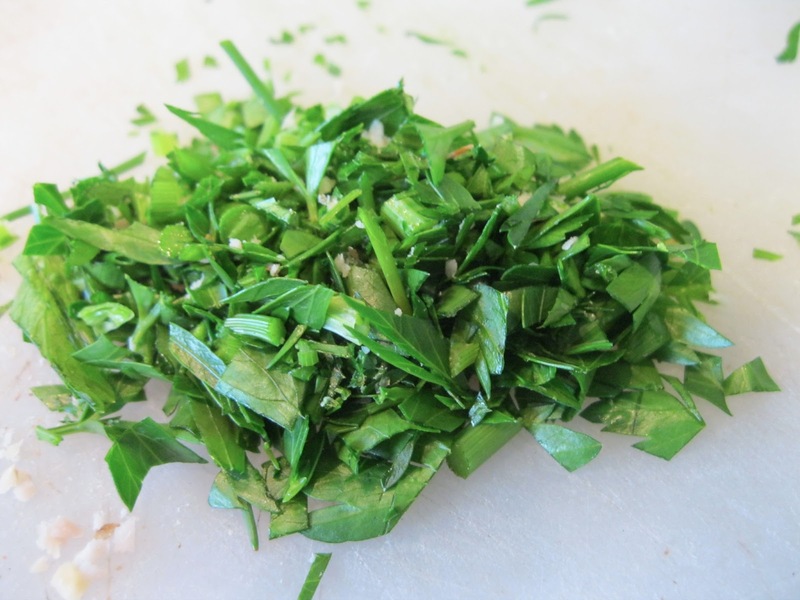 When the oil is hot, add the smashed garlic to heat until translucent, about 30-60 seconds. 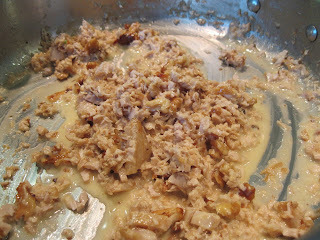 Stir in the chopped walnuts and cook to heat through a bit about 1-2 minutes then add the tuna to heat a bit without cooking. Pour in the cream and stir to combine with the walnuts into a sauce. When the pasta is done, drain in a colander, then add to the skillet with the walnut-cream sauce and a bit of the reserved cooking water to moisten. Cook for about a minute then remove from heat to serve.